DEVELOPMENT OF THE SLIEVEARDAGH AREA. 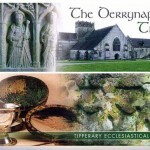 Classified as disadvantaged in the 1970’s because of the existing social and economic deprivation, the lot of the inhabitants of this beautiful part of the country called “The Hidden Corner of Tipperary” has not improved, if anything it has, at best, stood still, or even declined. The future is indeed bleak, as real threats to agriculture nationally are magnified on the relatively marginal land in Slieveardagh. In view of the changing face of agriculture and the difficulties of the people engaged in farming to continue to be economically viable, it is essential that an examination of the jobs potential of Slieveardagh and its environs be undertaken, not alone in the agri. sector but in every commercial/industrial and service activity. Slieveardagh, since the end of coal mining era has continued its dependence on primary industries such as agriculture, the equine industry and the extraction of peat from the boglands that predominate to the west of the region. With the exception of the equine element these industries have declined over the years and are predicted to decline even further in the foreseeable future, presenting an even more serious problem for the area. Agriculture related businesses in particular face very serious threats, from the point of view of predicted negative changes in the policy and financial support for agriculture (CAP). 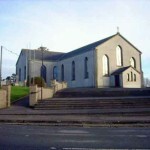 Slieveardagh Rural Development and its constituent committees. Sports organisations; Like GAA, Soccer, Athletics, etc. National Organisations; ICMSA, IFA, Macra na Feirme, ICA. Parish Groups; Church bodies: Healthy Community, Home & Garden Club, Feorige, Tidy Towns, Community Development, youth activities etc. Many organisations have supported these groups and individuals and their ongoing support and work is greatly appreciated, these organisations include Barrow Nore Suir Rural Development Limited who continue to implement the LEADER programme in the area. South Tipperary County Enterprise Board. 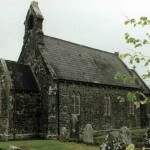 It is clear that real opportunities for development are being hampered because there is no overall strategic plan for the sustainable economic and environmental development of the Slieveardagh area, together with the lack of professional management structures and support for the actions necessary to bring about this development. We propose that the responsibility for the promotion and initiation of economic and environmental development in the Slieveardagh area be brought back to the people of Slieveardagh by building on the strengths of the existing structures and organisations. The basis for this proposal is the knowledge that there are real opportunities to develop the area and it is this belief that forms the main reason for this submission. In order to advance these opportunities we need to plan for the future. This proposal outlines the procedure whereby this plan will be initiated developed and implemented. 1 Appointment of a facilitator to form a basis for the overall plan by working with groups, organisations, individuals and statutory bodies. 2 Development of the plan and the implementation programme. 3 Setting up the structures and supports to carry out the objectives of the plan. 4 Implementation of the plan. Time sequence to develop the plan. Stage 1, six months >, – Stage 2, nine months >, – Stage 3 >, to be started during stage 2 – and to end two months after Stage 2, – Stage 4 > to continue to the end of the plan period. 5 years >: The plan should be updated and adapted during its 5 year duration. However a major review should be carried out by the implementation body in advance of the end of the plan with a view to the creation of the new 5 year plan. The implementation body will continue in existence and will have its own constitution and rules to allow for normal democratic procedures and the form of this body will be part of the development of the initial plan. The remit of the plan. 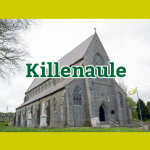 Funding: This submission is to be read as an application to Slieveardagh Rural Development for sufficient funding to implement the strategy as outlined.